I do not hide, nor apologize for, the fact that I support 2nd Amendment rights. I am a veteran of the US Army and I know that a firearm is merely a tool - and if you own a firearm, you take upon the onus of being able to use it responsibly. That is why I am happy to collaborate with Tactical Advantage Corp. (TAC) in Knoxville. This is Knoxville's premiere gun range. but it offers more than just a chance to fire weapons. Their attitude is one of safety, first and foremost. And that means safety not only on the range but also at 2:00 am when you are awakened by the sound of someone smashing your window to enter your house unlawfully - safety for you and for your family. 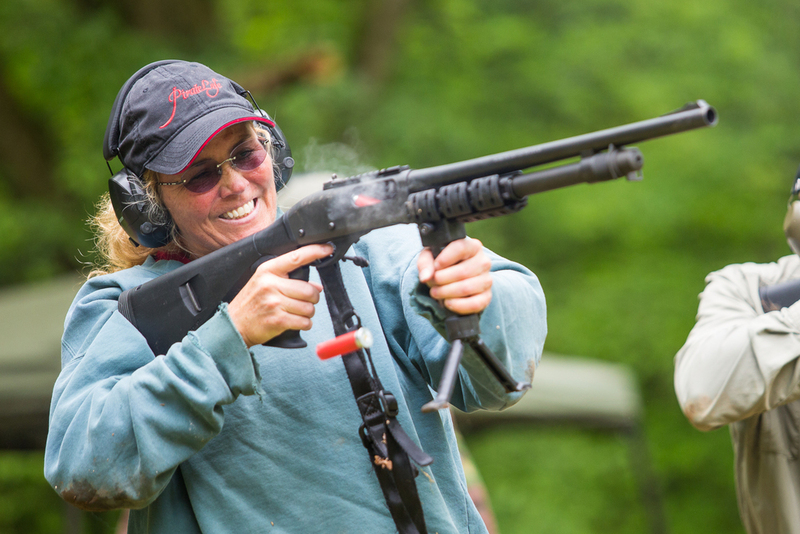 I recently took pictures at TAC's tactical shotgun training course. This is a rigorous day of training, some 8 hours long, in which participants were not only shown how to fire a shotgun but how to use one tactically. This means how to advance with one, how to fire from different positions, how to load one without taking one's eyes off the threat before them, and the choice of ammunition. The course was designed to help one deal with a situation when a viable threat is before them, because the bad guys do not stand still like targets pinned to a stationary back board. The hope is sincere that one will never have to face an intruder who means to do serious harm - as well as the hope a person will survive by knowing what to do. TAC offers a number of different courses for people of all ages. Yes, guns can be dangerous . . . in the wrong hands. But, as they say, "TAC's got your back.." Even if you have never handled a firearm, they will be welcoming and understanding, and ready to teach you how to keep you and your home safe. On the set of "Josephine"
For a New Attorney . . .